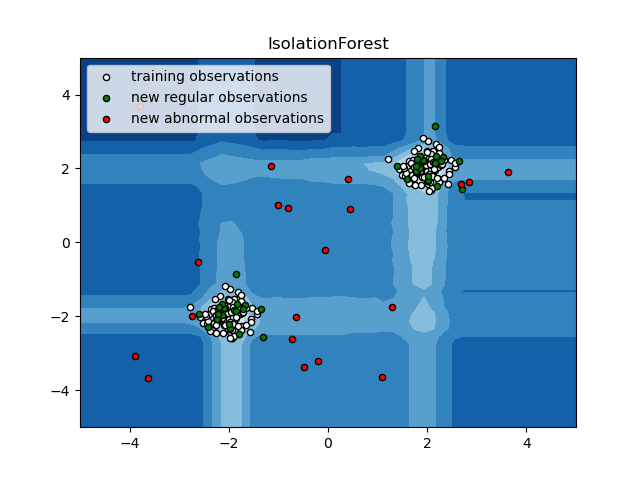 An example using sklearn.ensemble.IsolationForest for anomaly detection. Random partitioning produces noticeable shorter paths for anomalies. Hence, when a forest of random trees collectively produce shorter path lengths for particular samples, they are highly likely to be anomalies.